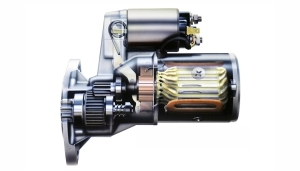 We rebuild and repair alternators, starters and generators. At I&G Auto Electric Services, the costumer is always first. We offer the best quality parts available to rebuild or repair alternators, starters, generators, hydraulic and reel motors. We work hard for our customers every day; our fast turn-around services are what differentiate us from our competitors. We provide next day services, and in most cases we pick up and deliver for fleet accounts on the same day. Here you will receive quality customer services and reasonable prices. This is a family business; our father had the same business, therefore, we grew with this profession and are extremely knowledgeable with the subject. We have many pleased customers, and the fact that so many are pleased brings to mind that so many people cannot be wrong. Those include the TVFIRE, City of Forest Grove Public Works, Hillsboro School District 1J Transportation, Mid Columbia Buses, Waste Management of Forest Grove, Hillsboro Diesel, Grooverbuilt Equipment & Repair, Dow Brothers, Fishback Nursery, Motz & Son Nursery, Hillsboro Aviation, Brentenos Farm, Ri Mar Farms, S&S Farms, Hoffman Farm, Bailey Nursery, Van Dyke Grain Elevation, J.R. Olson Constrution, Steve Duyck, and more!